The brief for this project was to rebrand a restaurant’s identity that was lacking visual appeal in their restaurant signage and menu. Ramen-Ya being in a predominantly college student neighborhood does not stand out amongst its restaurant competitors. The goal for this rebrand was to modernize the restaurant’s visuals and propose the usage of a neon sign so at night, viewers will be able to distinguish its surroundings. In addition, their menu is cluttered with information that just needed be reorganized visually so that customers would be able to efficiently order and see the various options the establishment provides. 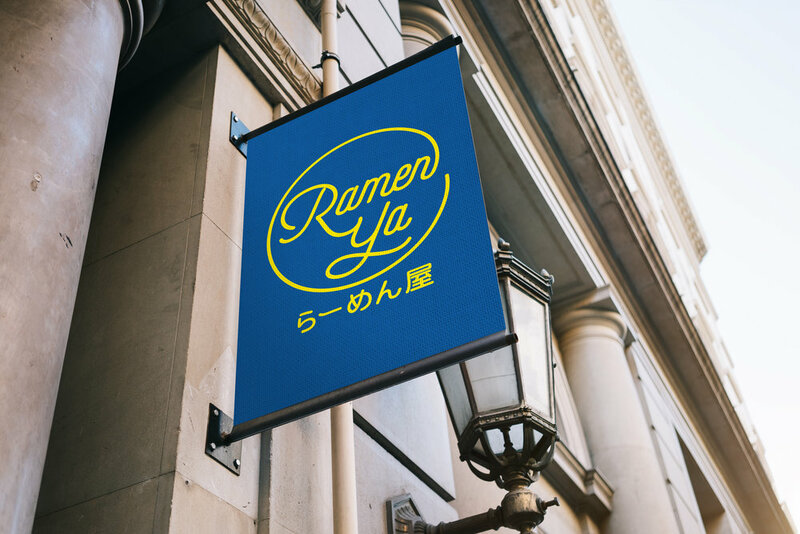 Ramen-Ya's existing signage is obscure and easy to walk past if you're not a repeat customer. In addition, it's current logo is generic doesn't stand out in it's neighborhood filled with college students.